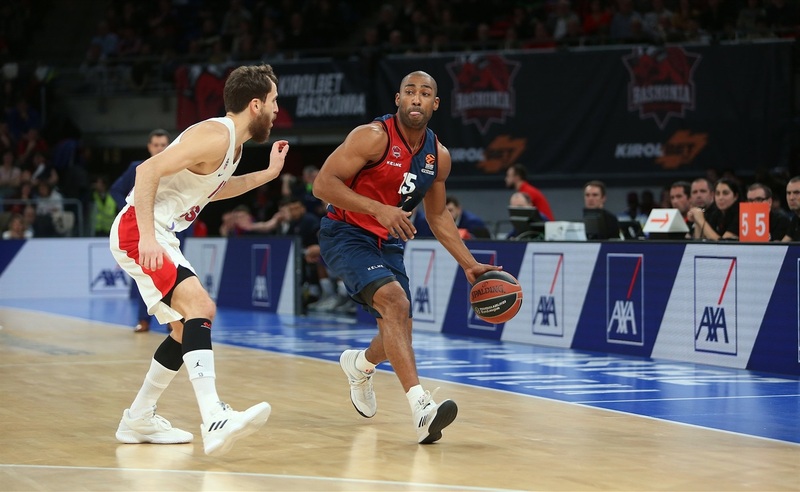 In a game where neither team had a lead bigger than 6 points, KIROLBET Baskonia Vitoria-Gasteiz prevailed 76-73 over the visiting CSKA Moscow on Friday night. 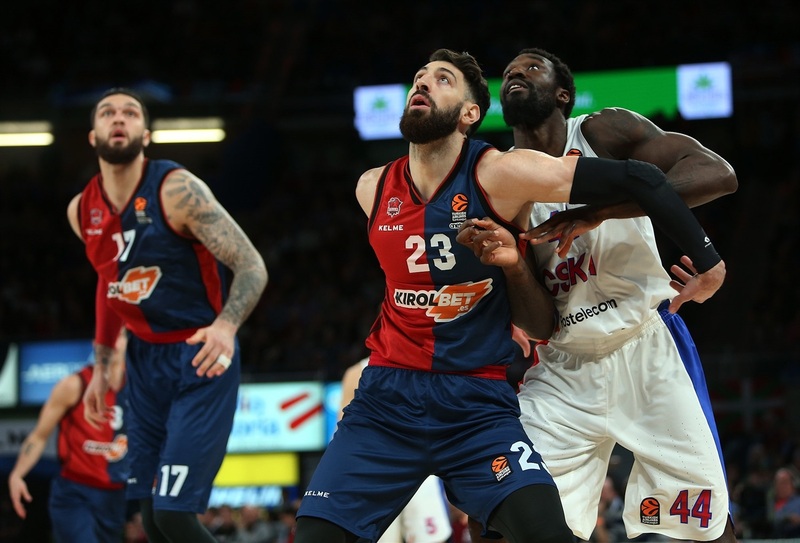 The dramatic win improved Baskonia to 4-7 on the season, just one game out of the eighth place, while CSKA dropped to 9-2, tied for the second-best record in the competition. Vincent Poirier had a big game with 18 points plus 8 rebounds, including a tip-in which turned out to be the last basket of the night. Tornike Shengelia muscled his way to 15 points, 8 rebounds and 3 assists, and Matt Janning was in double figures with 13 points. 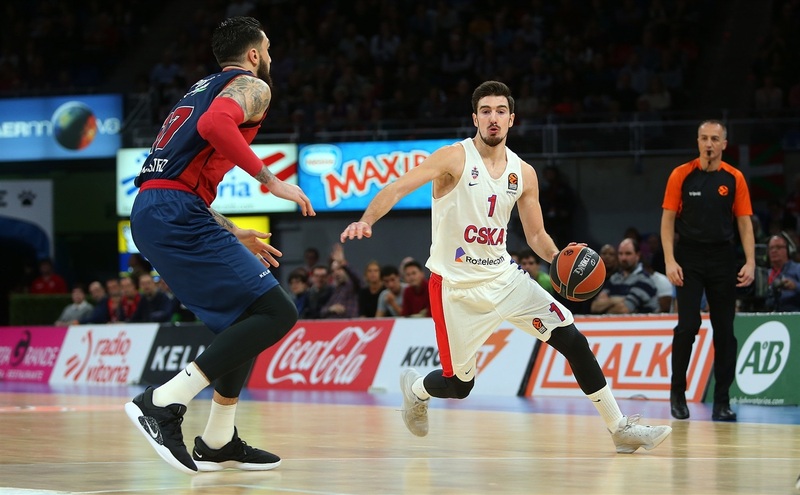 Alec Peters led CSKA with 20 points on 5-for-12 three-point shooting. Cory Higgins scored 17, and Kyle Hines had 14 points plus 7 rebounds in defeat. 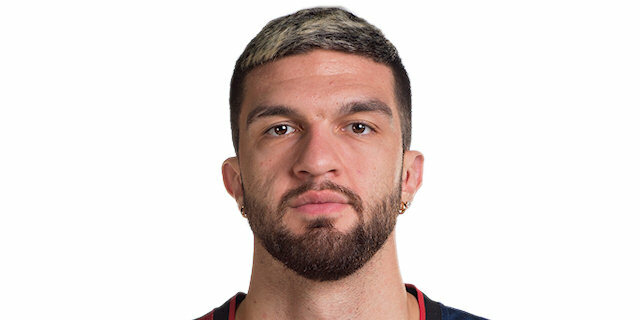 Luca Vildoza had a three-pointer, and connected with Poirier for an alley-oop dunk that made it 11-6 early on. Othello Hunter scored 6 points early for the visitors, and Peters knocked down two triples to tie it at 16-16. The teams were tied at 21-21 after 10 minutes, before Peters netted another triple and Higgins scored a pair of baskets to open a 23-28 lead early in the second. Hines had a pair of close-range baskets, and Peters hit his fourth from long range that made it 31-37, the largest margin of the entire night. 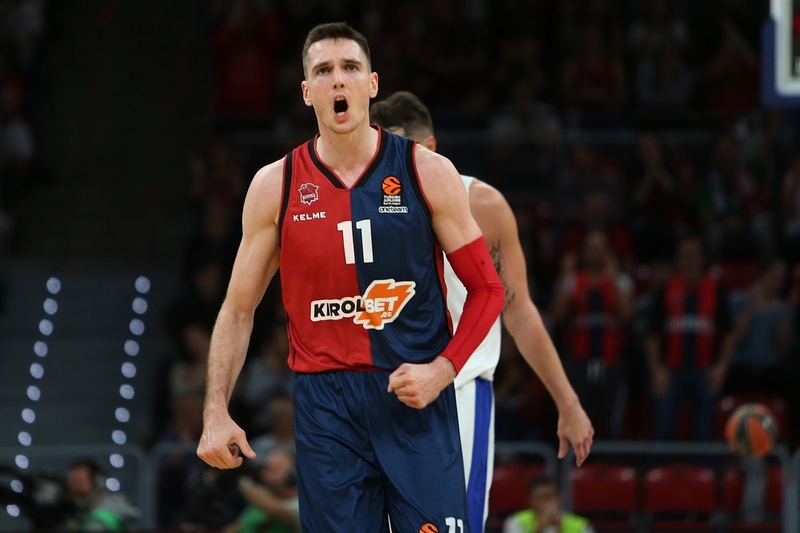 But Baskonia did not allow another field goal in the final 4:20 of the first half, as Vildoza hit a three and Matt Janning a driving layup to make it 40-38 at halftime. 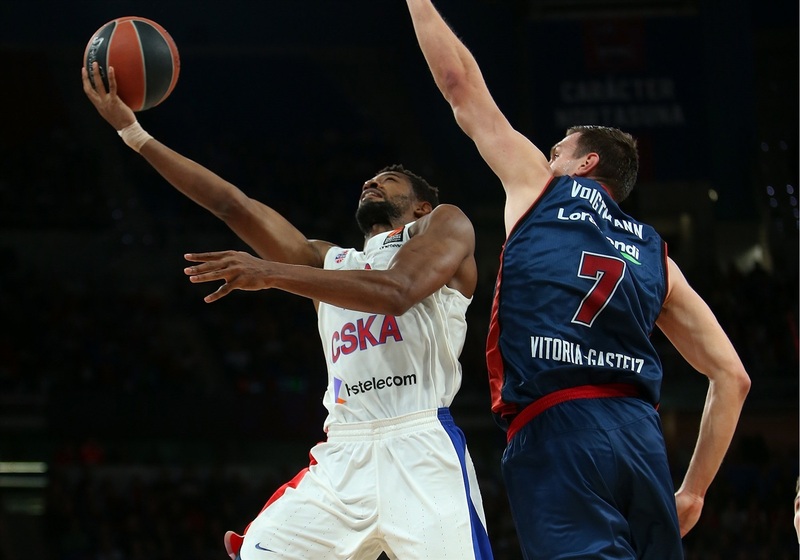 A triple from Higgins and a baseline jumper from Daniel Hackett put CSKA back ahead, 42-45, in the third. 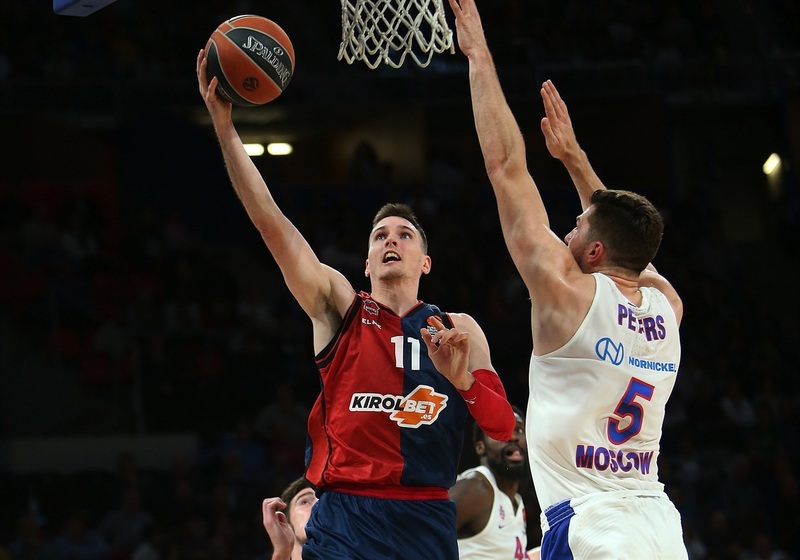 A dunk by Hines extended it to 44-49, but Baskonia answered as Shengelia had a dunk-plus-foul and Janning a pair of threes that set the score at 55-55 going into the fourth quarter. That’s where the drama picked up some more. Shavon Shields hit a triple to help make it 60-55, but CSKA regained the lead on a transition triple from Sergio Rodriguez. Back-to-back dunks from Shields and Johannes Vogitmann made it 64-61, but Higgins and Peters hit threes that gave CSKA a 66-69 edge. However, Shengelia hit a three-pointer to make it 71-69, and after Peters tied the score, Shengelia’s three-point play and Poirier’s tip-in made it 76-73 with exactly 1:00 to go. 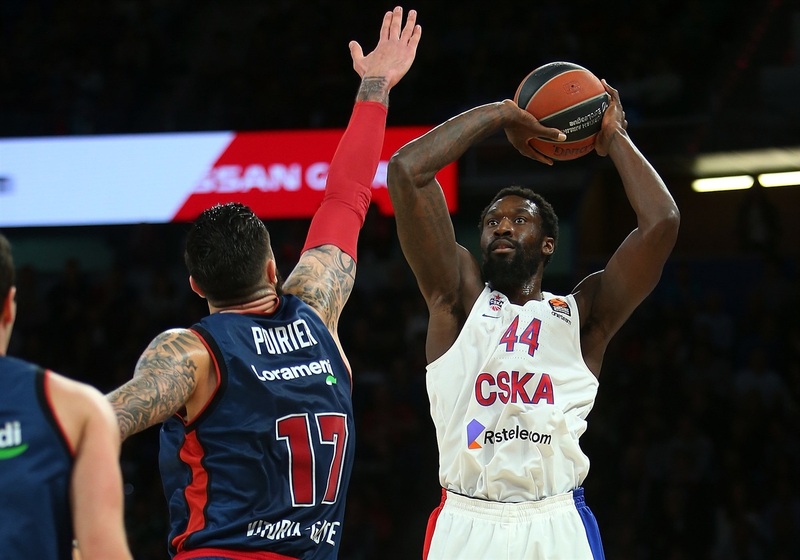 CSKA had three possessions, but Rodriguez, Nando De Colo and Peters, at the buzzer, all missed three-point shots, as the hosts prevailed. The teams were at 55-55 tied going into the final quarter, which then alone featured four lead changes and three ties. 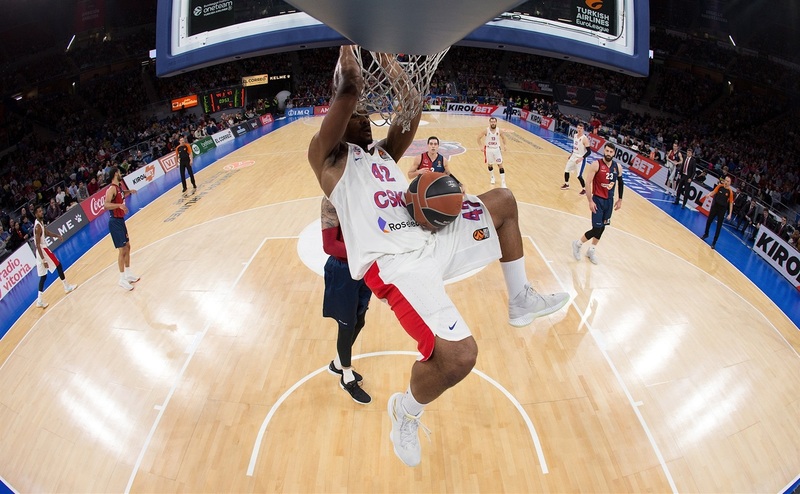 Baskonia had 13 offensive rebounds compared to 12 by CSKA. 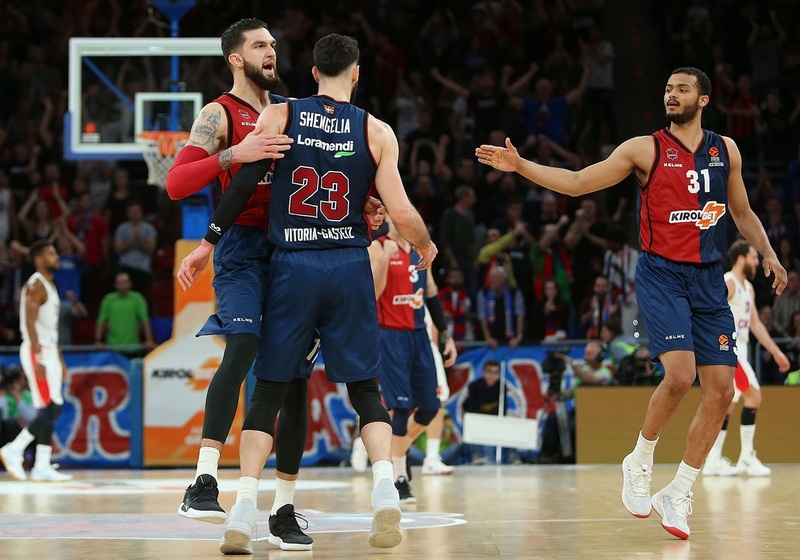 However, Baskonia pulled down 10 of those in the second half, while the visitors did not have any in the fourth quarter until Kyle Hines grabbed one on the final possession of the game. Nando De Colo played 21:26, and Sergio Rodriguez 25:23. They each had 5 assists and 2 rebounds, but Rodriguez scored 3 points, and De Colo just 2. They combined to shoot 1-for-9 for two-pointers, 1-for-6 for threes, and did not shoot a single free throw. 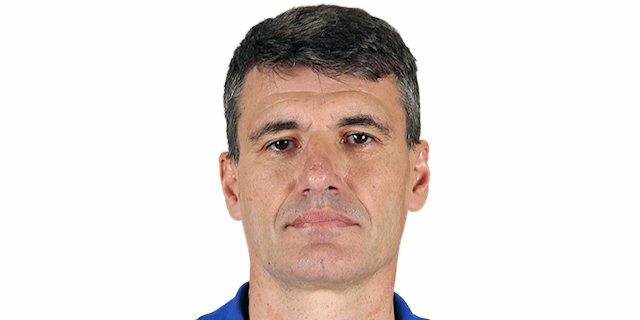 Baskonia’s Coach Velimir Perasovic changed things up a bit for this contest. Luca Vildoza made his second career start in this game, and his backcourt mate Matt Janning has his fourth start of the season, and first since Round 7. 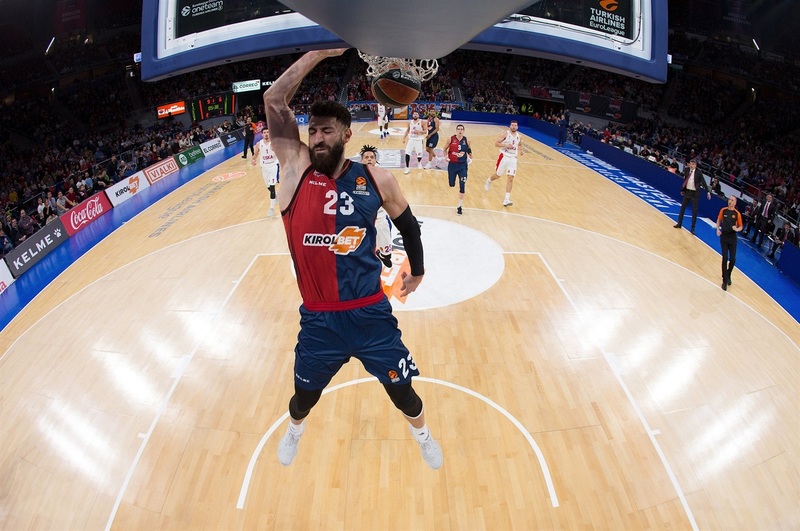 It was Baskonia’s fourth win of the current season, but victory number 250 in the modern Turkish Airlines EuroLeague era. Only CSKA, FC Barcelona Lassa, Olympiacos Piraeus, Panathinaikos OPAP Athens and Real Madrid have more. 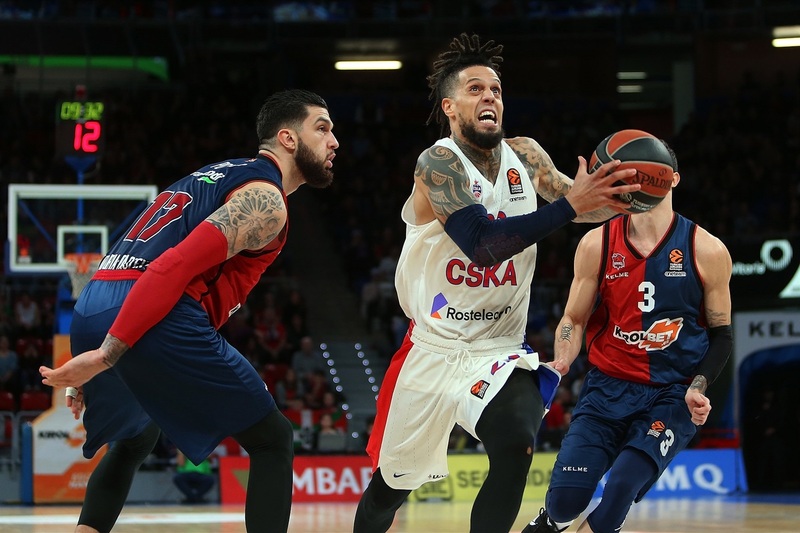 In Round 12, CSKA will engage in a local derby when it hosts cross-town rival Khimki Moscow Region, while Baskonia travels to face a winner in its last two games, Maccabi FOX Tel Aviv. "This was an important game for us. There was a lot of tension within the team, but we knew this was an important game to win in order for other teams not get away from us [in the standings]. Most important is the confidence we get from this, and from here on we know we can play against any of the big teams in the EuroLeague. It will not be enough just to win at home. We need to win on the road if we want to get into the playoffs. But we have to go game by game." "I would like to congratulate Baskonia for the win. The game was close until the last moments and could have gone either way. They had better composure at the end. We had a lot of good open looks, it was not our good shooting day, but we got to give credit to Baskonia for what they did on the boards. They outrebounded us in the second half 27-14. That is huge. In the third quarter, we had a good lead of 5 points in such a close game, but we gave Janning two easy three-pointers. That is his quality, we cannot allow such a shooter to go off. But if you are making shots you have a huge advantage, and today we were poor beyond the arc although we had good looks and although Alec was in range, 5-of-12 is not that good for such a caliber shooter. We practice with him, we know he can make it better. But we had other good looks that we did not make, and we will make them for sure down the stretch. What concerns us more is rebounding and losing balls, but defensively we managed to keep a high-quality offensive team under 80 points." "It was the game we needed to show to Europe that we can pretend for the playoffs. We played 40 minutes aggressive, had intense defense, and it feels good. It is a long season. There are many more games to play. But we have to take care of things at home, and with this win we have confidence to beat anybody." "We needed this win like I need water right now. It is an unbelievable win. I am so proud of my teammates, coaching staff and fans who deserved this win tonight. We have a lot more games to go. We are very happy right now, but not satisfied. We have to keep going."